NAJAF: On a backstreet in Iraq’s holy city of Najaf, Iranian pilgrims shuffle in and out of a small doorway, making a short but important detour. They have come to see where the leader of the Islamic revolution once dwelled in exile. 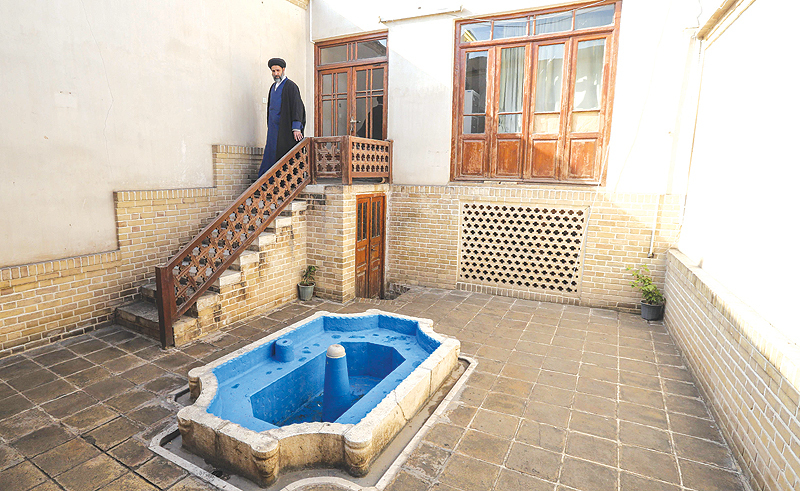 The former home of the late Ayatollah Ruhollah Khomeini, who in 1979 led an uprising that ousted the Shah of Iran, is bustling with tourists on the 40th anniversary of the birth of the Islamic Republic. Escaping for a moment Najaf’s crowded Shi’ite Muslim shrine nearby, they tour the humble home which is now a museum and gallery showcasing Khomeini’s political and personal life. Teenagers take selfies in rooms where he studied, prayed and developed his ideas for the establishment of an Islamic state. “The house captures the spirit of Khomeini. He was not interested in money or worldly possessions – he was there to serve the people,” said one visitor, 56-year-old Mohammad Javad Elahi. Khomeini’s Najaf abode, where he lived for 13 years before being expelled from Iraq by Saddam Hussein in 1978, has little furniture. His private meeting room is small with only a carpet to sit on. Photos on the walls show Khomeini with his children and grandchildren, although most are iconic pictures of the uprising, including the takeover of Iran’s embassy in Paris by protesters and Khomeini’s arrival by plane in Tehran after the fall of the Shah. Elahi, a logistics manager from Tehran, said he saw Khomeini’s legacy as an Iran that stands firm in the face of US sanctions. Despite unrest over a hurt economy, sanctions had served to unite many Iranians behind their current government, he said.